You are right, despite forever loving Glinda, I don't think I'll get into this one. Doesn't mean I won't count on you for a review. I did kick it old school last night, though, and watched a little ANTM (a show I used to be obsessed with!). Report: Same ol' Tyra! Ok, so this post is a bit of a round up and its a bit of big ol' girl crush. 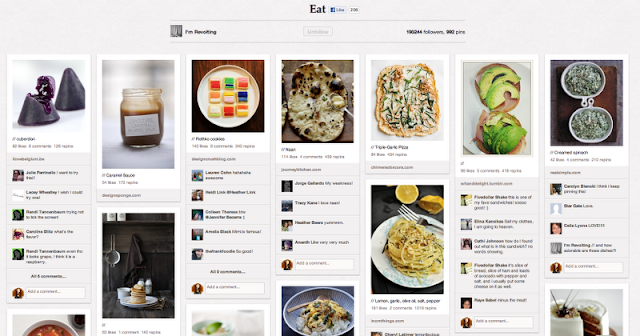 It all started when two weeks ago I was visiting my mom and she asked me to set her up on Pinterest. Ah-ha. She hasn't pinned much yet but had many YES! moments when I showed her all the things you can find on Pinterest with a simple search. I'm Revolting's "Eat" Board. I know, I already told you about this one. But it's great! Nina Garcia. Its fun to picture her pinning away, and she always pinning gorgeous celebs in gorgeous gowns AND the season's trends. 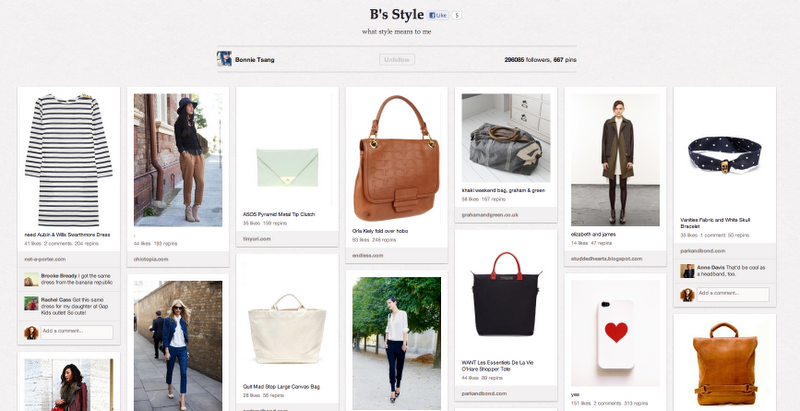 Bonnie Tsang's "B's Style" Board. The picks can sometimes be expensive, but what I love about it is that it's real enough that you think: That looks great, and I already own some of the pieces of that look. To me, that's actual inspiration I can use. So tell me, tell me, everyone, who do you follow? I would love to know your best friend's awesome board, or anything related to food, decor, style, oh TRAVEL. I'd love a good travel board.